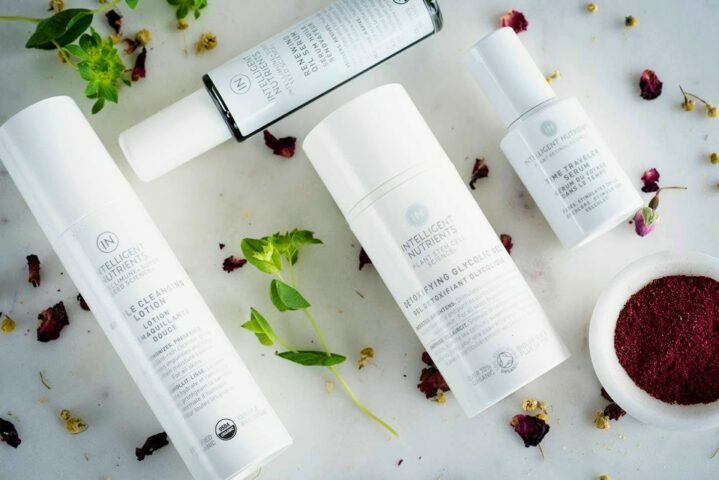 Created by the founder of AVEDA, Horst Rechelbacher, Intelligent Nutrients is a beautiful line of skincare and hair products is packed with plant stem-cells and food-grade ingredients, as well as multi-functional aromas that not only smell great but also lend their healing and preservative properties to each product. We conducted an interview with Paula Veneema, the president end educator of PureStem Beauty (distributor of Intelligent Nutrients in Canada) and our personal contact for Intelligent Nutrients. Here, she shares her wisdom and knowledge about the beautiful brand that is Intelligent Nutrients. Can you tell us a bit about Intelligent Nutrients’ founder and the Intelligent Nutrients origin story? Intelligent Nutrients was created by the “Father of Safe Cosmetics,” AVEDA founder Horst Rechelbacher. As a salon owner and world-famous hairdresser, he was the first to see the ill-effects beauty products had on stylists. 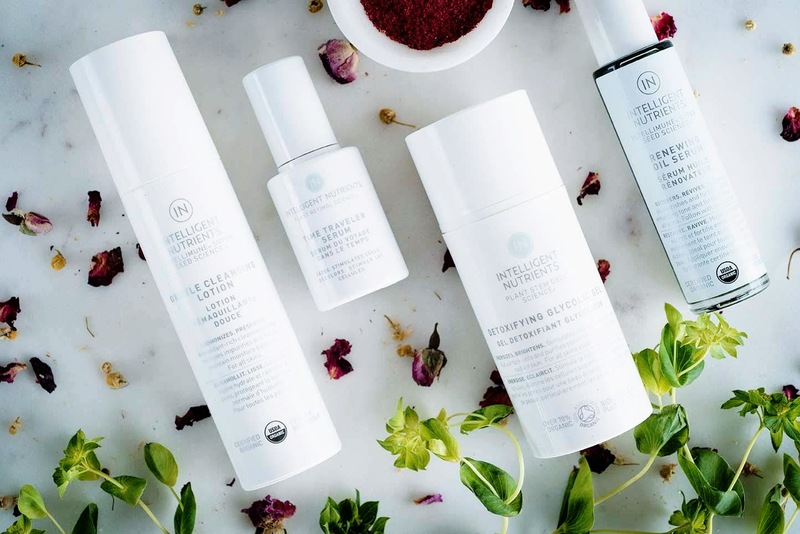 With no safe alternatives, he made his own, introducing the concepts of plant-based products, aromatherapy and environmental impact into the world of beauty. Horst left AVEDA to pursue the mission of next-level certified organic, sustainable, inside-and-out beauty. In 2008, Intelligent Nutrients revealed the first USDA-certified organic hair care line, breaking new ground to revolutionize the beauty industry. Today, the company is led by his wife Kiran Stordalen and daughter Nicole Rechelbacher, instrumental since day one. Many Intelligent Nutrients products contain Intellimune Super Seed Complex. What is this, and why is it an important component to your formulas? Today, 95% of the brands products contain the Intellimune complex, comprised of USDA certified organic black cumin, raspberry, cranberry, red grape and pumpkin seed. No other brand in existence has a hairspray containing a nutraceutical, nor moisturizers, toners, cleansers, shampoo, conditioner, styling products, all with a high-level of antioxidants! It’s not just “safe” for you, it’s actually “good for you” on a whole new level. Two teaspoons of Intellimune oil and powder has the antioxidant equivalency to 10 pounds of fresh fruit. While we recognize the choices of internal supplements are many, it is an ahead-of-its-time concept to include it in personal care products. What are your three “must-have” Intelligent Nutrients skin care products, and why? Personally, my three “go-to” IN skincare products are the Plant Stem Cell Renewal Complex, the Time Traveler Serum, and the Renewing Oil Serum. At 54 years old, not wanting to engage in injectables or more medical treatments, my goal is to embrace aging and have fabulous skin. Our Plant Stem Cell Renewal Complex is comprised of 11% plant stem cells—truly active content! It is considered “Beyond Organic” due to how it is harvested: without using water or exposure to any contaminants. The cells are taken from the plant while in meristematic mode (actively-growing). These cells at their most powerful, up to 1000x as potent than the common extracts in most natural products. Those cells are taken to the lab to be proliferated. As the host only needs to be replaced every two years, we can harness the power of plants (such as the endangered Edelweiss flower) without adding to ecological harm. Horst was the first to implement this technology into skincare science. 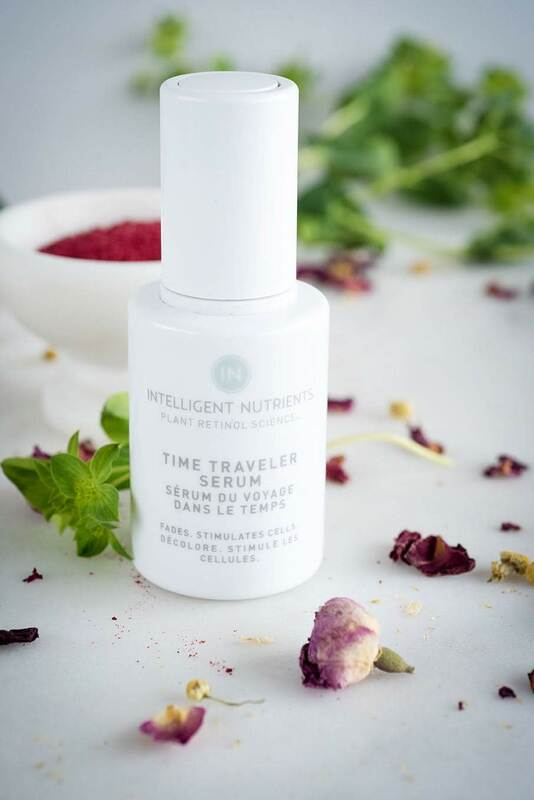 The Time Traveler Serum harnesses Revolutionary Plant Retinol Science™ and Sea Bioactives to restart aging skin cells without the stress of traditional chemical retinols. Plant Retinols, including sea fennel and spanish needle, kickstart skin cell regeneration for reduced wrinkles and smoother skin. Sea daffodil diffuses the size and intensity of dark spots. Red algae quickly improves moisture in all layers of the skin more efficiently than hyaluronic acid. This formula is creamy and skin drinks it in. The Renewing Oil Serum is Intelligent Nutrient’s best-selling skin care product for a reason: it “turns the lights back on,” an instant beauty addiction. Comprised of luxurious oils such argan, acai, black cumin, raspberry, cranberry, red grape, pumpkin and blue tansy, it delivers what skin needs. The rich blue from the blue tansy and yellow from the argan oil creates green-gold magic-in-a-bottle. Dry skin drinks it in, oily skin finds balance, dull skin brightens up, and redness fades. It aligns with the body’s natural sebum, delivering deep moisturization in winter yet is light enough for summer wear. If you try nothing else, try this. Cell-by-cell, your skin will awaken. Are there specific skin types or conditions that Intelligent Nutrients skincare is especially well-suited for? Intelligent Nutrients skin care is for everybody and every skin type. We have used it in my establishment, The Spa Magnolia, for 6 years now— both in treatments and retail. From this, our loyal followers have grown exponentially. The notion that organic products don’t work or don’t provide results is eradicated with this brand. Many manufacturers put ingredients in products designed to do what real plant actives do, but use synthetic, cheap alternatives that don’t connect with your skin or show real change. Horst said it best: “We have a symbiotic relationship with plants. We inhale what they exhale, and we cannot survive on this planet without them.” I feel our bodies respond to products from nature more effectively than those that are synthetic. Intelligent Nutrients customers use our products on their whole family. 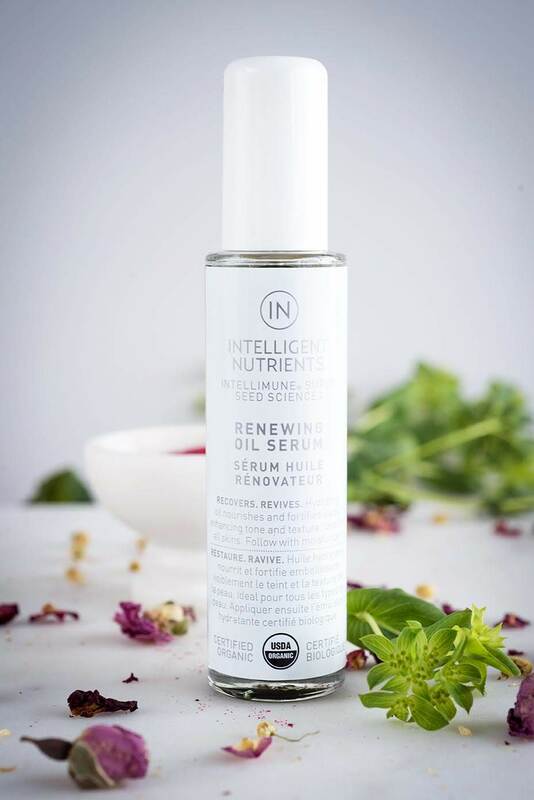 What results may we expect from Intelligent Nutrients skincare? What feedback have you received from customers about the line, and are there any specific success stories that stand out? Before I began using Intelligent Nutrients, I was using a very expensive “anti-aging” serum duo that retailed over $400. Those of us in the professional spa industry have access to a huge range of skincare products, and I was skeptical as to what Intelligent Nutrients would do for me. Within a month of using the Gentle Cleansing Lotion, the Plant Stem Cell Renewal Complex, the Purifying Tonic, and Renewing Oil Serum, I couldn’t believe how even my skin tone became, and saw a brightening effect I hadn’t seen for years. We since launched additional products to the skincare lineup and continue to bring in more efficacious formulas. When customers continually return to repurchase their products and rave about how much they love them (not to mention the staff) you know the product brings not only a strong performance factor, but value, because the bottles last a long time. Intelligent Nutrients describes their products as “more than ‘natural’ or ‘organic.’” What does this mean, and why is it important? Horst is a rule breaker. Even with AVEDA, he was a man ahead of his time. Nobody was talking about “natural” products back in the 1970’s, but Horst started making products in small batches for salons even before officially launching AVEDA. With Intelligent Nutrients, he knew he would provide the brand with what nobody else had at the time: third-party certifications, environmental packaging, and accountability. To be more than just “natural” or “organic,” it takes a commitment to transparency. What third-party certifications bring to the table is massive. These certifications ensure no ingredients have been exposed to pesticides, fungicides, or herbicides, include no nanotechnology or GMO’s, and no contaminated sludge or run-off water in manufacturing. Intelligent Nutrients uses only the best PCR content in packaging and the highest non-cruelty standard, Leaping Bunny. Horst set the company up for success knowing that consumers recognize how ingredients are sourced, how products are manufactured, and how many conventional companies put profits before people and “greenwash” what their products are really made of. Where important social, healthful, and environmental responsibilities are concerned, Intelligent Nutrients checks off all the boxes. 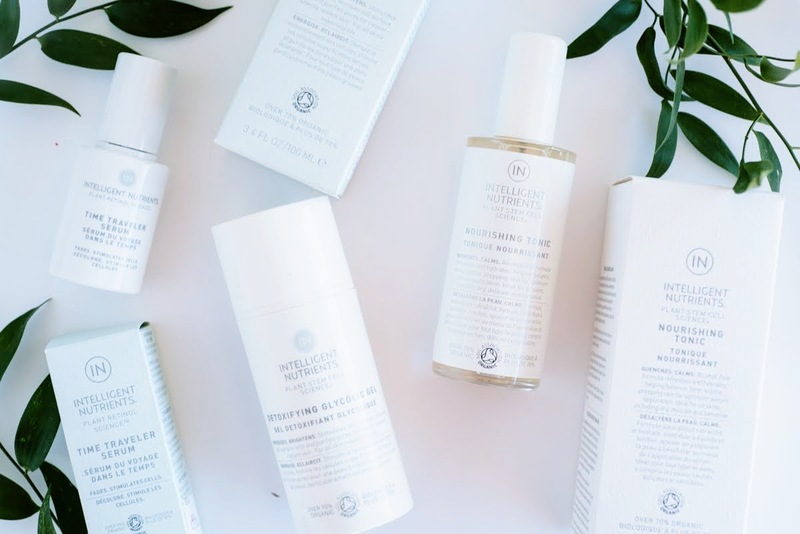 Shop Intelligent Nutrients in our Edmonton natural skincare boutique or shop online and enjoy free shipping on Canadian orders $89+.